So you would like to create a community like Reddit or Hacker News with WordPress? The UpVote theme could be just what you need. It is a commercial theme with a custom-built plugin that allows your visitors to register and submit URLs. The theme has an advanced theme options panel and a responsive layout. UpVote automatically grabs featured image, description, and other info from the links submitted. It has a social login system, so your visitors can join with their Facebook or Twitter account. 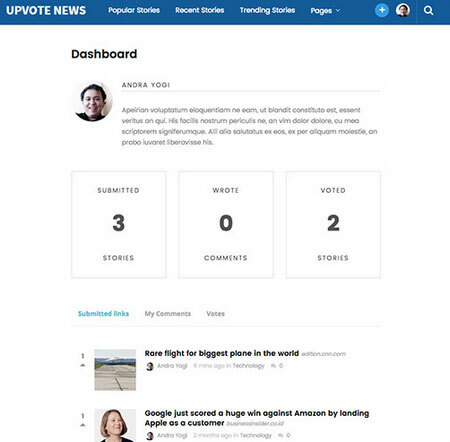 The dashboard allows members to see submitted stories, votes, and other info. UpVote supports unlimited colors. It is ready to be translated. 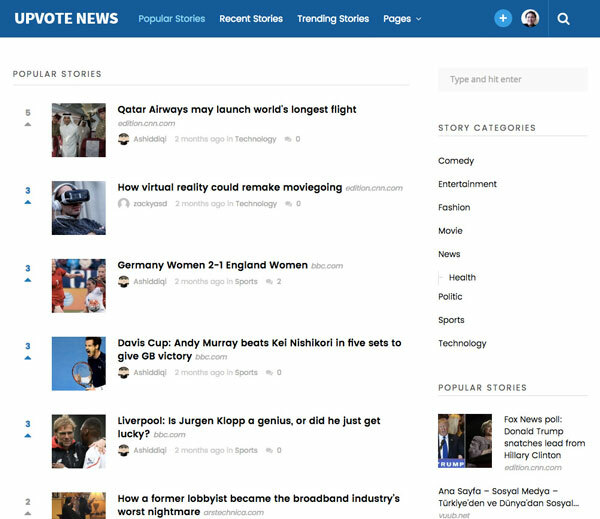 It makes showcasing popular and trending stories easy.